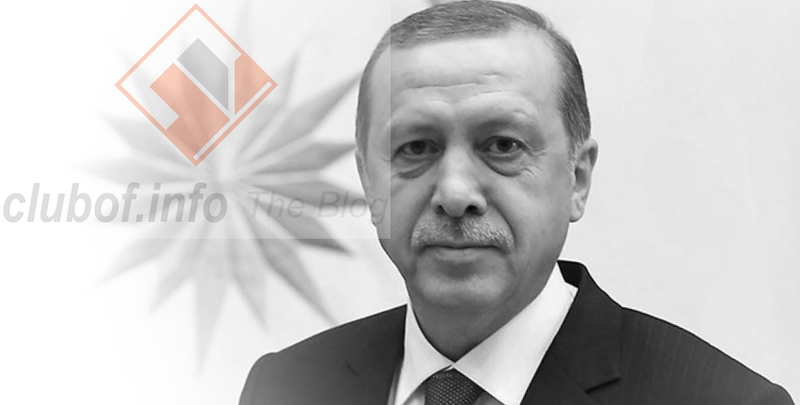 The clubof.info Blog: Did Erdogan stage a coup on himself? Views have been circulating that the coup attempt in Turkey may have been plotted by Erdogan himself to justify gaining more executive powers. "Erdogan has had plans to rewrite country’s constitution but has not been able to do that so far... It is now written on the wall that Erdogan will swiftly move to further tighten his iron grip over the country, further gag the media and dissenting voices and clear the way for absolute power in his hands. The failed coup will strengthen the hands of president Erdogan to realize his dreams of becoming the all-powerful Sultan of Turkey. "Does all this prove the assumption that it was a phony coup?" Saqib views the coup as "unprofessional" and apparently set up to fail. The mass arrests and accusations that followed - without any official investigation being conducted - also indicate lists being prepared in advance for a political purge throughout Turkey. WikiLeaks has been undertaking efforts to release more documents on the Erdogan government's dealings to increase civil criticism of this government, which is becoming more authoritarian. On 19 July, WikiLeaks tweeted it would release 300 internal emails of the ruling AKP party, to which Erdogan belongs. Meanwhile, other theories exist that the coup plot was the work of hyperactive agents of Washington and NATO, who believed Erdogan was an insufficient puppet of US interests. According to this view, Erdogan's rapprochement with Russia and hopes of restoring Turkey as a more honorable and independent power resulted in the conspiracy to depose him.